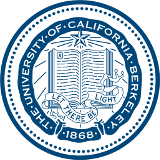 The Peter E. Haas Public Service Award recognizes an alumnus/a of UC Berkeley who has made significant voluntary contributions to the betterment of society within the United States. It includes four major categories — community/social service, health care, the environment, and education — and especially acknowledges grassroots activities that illustrate the broad impact one individual can have in inspiring creative social change across communities. The winner receives $20,000, an engraved medallion, and an additional $20,000 to be donated to a charity of his/her choice. The award is presented at the December commencement ceremony, and the recipient is asked to speak about the value of public service to Berkeley students and faculty. Mrs. Peter E. Haas established the Haas Public Service Award on her husband’s 80th birthday. A counterpart to the Elise and Walter A. Haas International Award, which recognizes distinguished Berkeley alumni overseas, it honors alumni whose commitment to their community exemplifies the university’s mission to serve the public good. Learn more about Peter E. Haas. A nominating letter with the address, email, and phone number for you and your nominee. Give examples of your nominee’s leadership skills and voluntary contributions to his/her community in one of the four fields listed above. Up to three letters of recommendation that reflect a variety of relationships to the nominee and viewpoints on his/her service. Up to five supporting documents (maximum of 15 pages), such as a curriculum vitae, news articles, or an organizational brochure or newsletter.